Magali Chelpi-den Hamer is currently guest research fellow at the Centre d’Étude des Mondes Africains (CEMAf), in Aix-en-Provence and is also affiliated at the African Studies Centre in Leiden. 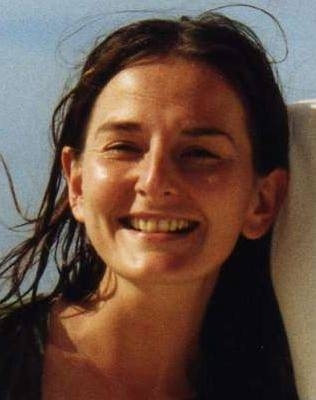 She holds a PhD in the Social Sciences from the University of Amsterdam and a doctorate in social anthropology from the École des Hautes Études en Sciences Sociales (EHESS). She was granted this last diploma with the highest honors in the French university system. She works on issues related to education in developing countries, humanitarianism, non-State armed groups, processes of violent mobilization and conflict resolution, with a geographical focus on Sub-Saharan Africa. She has been studying in particular the effects of humanitarian interventions in ‘post-conflict’ settings, local processes of violent mobilization and demobilization, and the resilience of local systems of education in situations of forced displacement. In parallel to her academic work, Magali has worked as consultant for various institutions (World Bank, UNICEF, Dutch MFA, non-governmental organizations), with recent fieldwork in Côte d’Ivoire and in the Great Lakes region. She has also led a two-year research project in partnership with the Ivoirian representation of the Educational Research Network for West and Central Africa for studying the impact of the Ivoirian war on the local educational system. Prior to her academic career, Magali worked for five years as program coordinator for several NGOs in Colombia, Honduras, the Democratic Republic of Congo, the Republic of Congo and Côte d’Ivoire. She was there managing, among others, emergency education and protection projects. Chelpi-den Hamer, M. (2011) ‘Why Certification Matters: A Review of State and non-State Actions in Côte d’Ivoire for Promoting Schooling for the Displaced’, Journal of Refugee Studies, 24 (1), 69-87. Chelpi-den Hamer, M. (2011) ‘Militarized youth in western Côte d’Ivoire: Who are they? Why did they fight?’, In:Y.Guichaoua (ed) ‘Understanding collective political violence’, London: Palgrave Macmillan, pp.21-45. Chelpi-den Hamer, M. (2011) ‘Exploring the relations Child Soldiers/Education: Literature review, past and current practical experience, and recommendations for strategic interventions’. Report commissioned by the Dutch Ministry of Foreign Affairs, Education and Research Division (DCO/OO). Chelpi-den Hamer, M., M. Frésia and E. Lanoue (2010) ‘Introduction: Éducation et Conflits – Les Enjeux de l’Offre Éducative en Situation de Crise’, Autrepart, 54, 3-22. Chelpi-den Hamer, M. (2010) ‘Youngest Recruits – Pre-war, war and post-war experiences in Western Côte d’Ivoire’, Amsterdam: Pallas Publications/Amsterdam Univ. Press, 76p. Azoh, J.-F., C. Koutou and M. Chelpi-den Hamer (2009) ‘Impact du conflit armé sur l’éducation primaire: le cas ivoirien – Quel financement pour les écoles? Quels freins à la scolarisation? Quelles réponses locales?’ Report commissioned by Save the Children Netherlands, Amsterdam: University of Amsterdam/ERNWACA/SCNL. Chelpi-den Hamer, M. (2009) ‘Educational attainments of Liberian refugees in Côte d’Ivoire (1992-2007): Reflections on certification, equivalence, and the relevance of informal schooling in a refugee situation’, In: J. Kirk (ed) ‘Certification counts: recognising the learning attainments of displaced and refugee children’, Paris: UNESCO/IIEP, pp. 200-221.